Lemon water is effective with the digestive system working better. 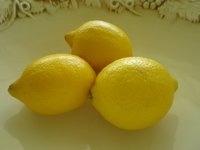 Fresh lemon juice is similar to our digestive enzymes. Although thought of as acidic, the pH of lemon water actually helps with digestive problems. Digestive ailments such as indigestion, heartburn, acid stomach, acid reflux, constipation, gastritis, irritable bowel syndrome, bloating, belching, and stomach pain may be cured or improved. Drink lemon water or herbal tea with lemon in the morning to alkalize the digestive tract and to produce bile for proper food digestion during the day. Lemon water flushes toxins from the body. Detoxing eliminates wastes and toxins from the colon, liver, kidneys, gallbladder, lungs, skin, lymph, and blood. Filtering the blood also nourishes the brain and nerve cells helping with symptoms of headache, fatigue, and depression. Lemon water has also been shown to dissolve kidney stones. The elimination process of detoxing also aids in losing weight. The bowels are eliminating waste more efficiently and helping to break down fat. As a diuretic, lemon water helps those with urinary tract infections, high uric acid, arthritis, and rheumatism by stimulating the kidneys and flushing toxins and bad bacteria from the body. Rich in vitamin C lemon water also contains some vitamin A, vitamin P, potassium, calcium, magnesium, niacin and thiamin. Lemon water is a natural antiseptic, antibacterial, antiviral and antiallergenic. Antioxidants help to boost the immune system by treating infection and disease. The high antioxidants neutralize free radicals helping to reduce inflammation with osteoarthritis and rheumatoid arthritis. Absorbic acid helps the body produce collagen helping to reduce the signs of aging. Lemon water helps the body absorb calcium for the prevention of osteoporosis. Lemon water also combats free radical damage to blood vessels preventing heart disease.